James Ewing was born in Lancaster County, Pennsylvania, the son of Thomas Ewing and Susanna Howard. His Scotch-Irish father served in the Pennsylvania Assembly during James’ boyhood. James would marry Patience Wright. As a young man, James Ewing was a part of General Edward Braddock’s 1755 expedition and then, in 1758, served as a lieutenant in the Pennsylvania militia. Ewing was elected as a York County representative to the Pennsylvania Assembly in 1771, serving until 1776. In that year, Ewing was one of the few assembly men urging an immediate break with Britain. Because of his military experience and support for independence, Ewing was commissioned as a brigadier general in the Pennsylvania militia on the fourth of July, 1776. His brigade guarded the Pennsylvania side of the Delaware River when Washington’s forces crossed the Delaware on Christmas night 1776. In the new Republic, Ewing allied himself with the programs of wealthier business interests, first as a Republican or anti-Constitutionalist (that is, against the radical unicameral form of government of Pennsylvania’s first constitution) and then as a Federalist. In 1781 he won a seat on Pennsylvania’s Supreme Executive Council; in 1782 and 1783 he served as vice president (the equivalent of lieutenant-governor) of that body at the same time fellow Republican John Dickinson held the position of president (equivalent of governor). In 1784 Ewing served a one-year term in the state assembly. In 1783 Ewing became a trustee of Dickinson College, and six years later he chaired a committee seeking improvement of navigation on the Susquehanna River. By 1795 he was back in the state legislature, this time as a Federalist in the Pennsylvania senate. He was reelected in 1799. Ewing died at his home near York, Pennsylvania, in 1806. While he was lieutenant-governor, Ewing served as an ex officio trustee of the University of the State of Pennsylvania (now the University of Pennsylvania). 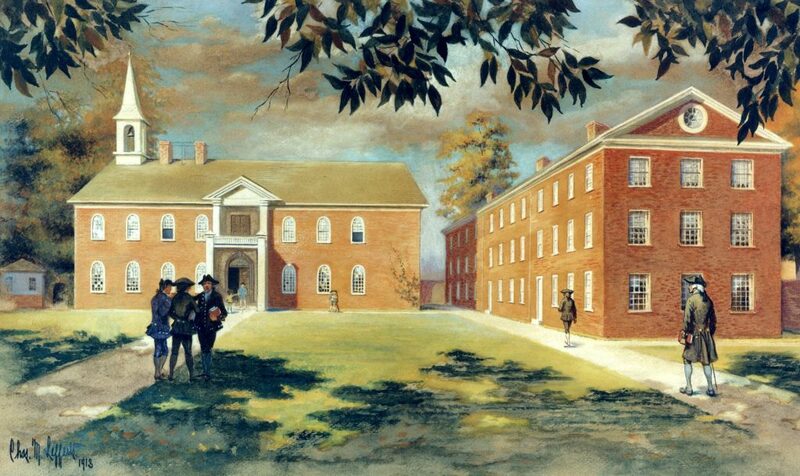 Ewing was not a graduate of Penn, but the name “James Ewing” had appeared in 1753 tuition records for the Academy of Philadelphia, when James would have been about seventeen years of age.